I will never forget the feeling I got each time I walked down the steps to the basement of our old farmhouse. It was a cold concrete shell with very little light. We kept jars of food down there in a huge pantry — which meant lots of trips up and down as Mom was preparing dinner. With every trip, I’d close my eyes and hope that I wouldn’t encounter a creepy crawly spider. Just the thought of spiders still makes me shiver today. The fear of spiders is a very real thing for people like me and I’m far from alone. Nearly 55% of women and 18% of men have a fear of spiders, making it nearly impossible for them to go down to the lower level of their homes — where spiders are most often found. Spiders would much rather live outside in an ideal environment. But, in most circumstances, they find their way to your basement in search of food and shelter. Spiders like cool, dark areas, and feel most at home in places that contain dust and clutter, where they can easily take shelter from predators. They are also attracted to living conditions that contain moisture, like water heaters, windows and drains, so don’t be surprised if you see their webs around openings. Insects are also fond of basements — offering spiders an abundant food supply. Your main living quarters isn’t as attractive to these eight legged uninvited guests, because they don’t like noise and movement. Are spiders as scary as they seem? Other than those annoying sticky cobwebs, spiders cause little to no damage to your property. Out of the nearly 34,000 identified species of spiders, only about 12 of them can actually cause a problem. Of those 12, only 3 are common to the United States. Tarantulas, Black Widows and the Brown Recluse contain venom that is potentially harmful to humans and pets. Tarantulas are the biggest of spiders with a body up to 10cm long. 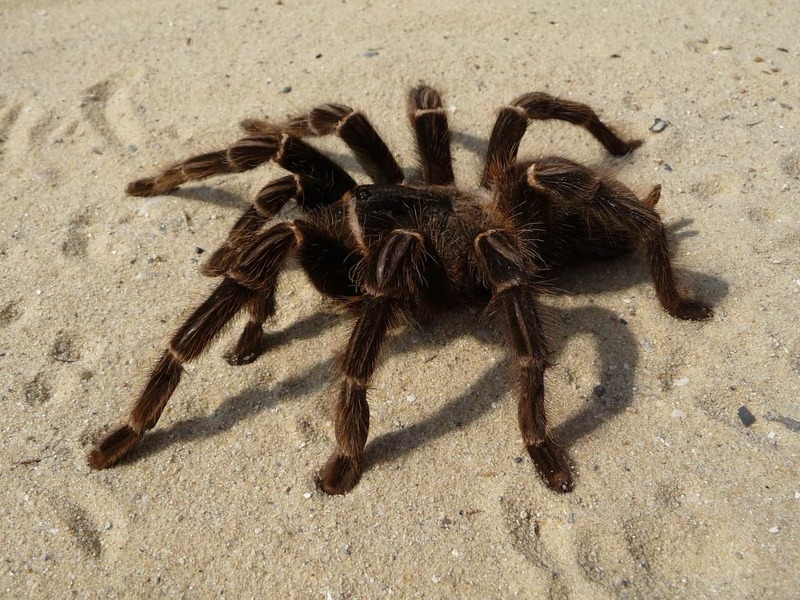 A Tarantula in captivity can live up to 35 years. They are most often found in dessert areas of California, Arizona and Texas. 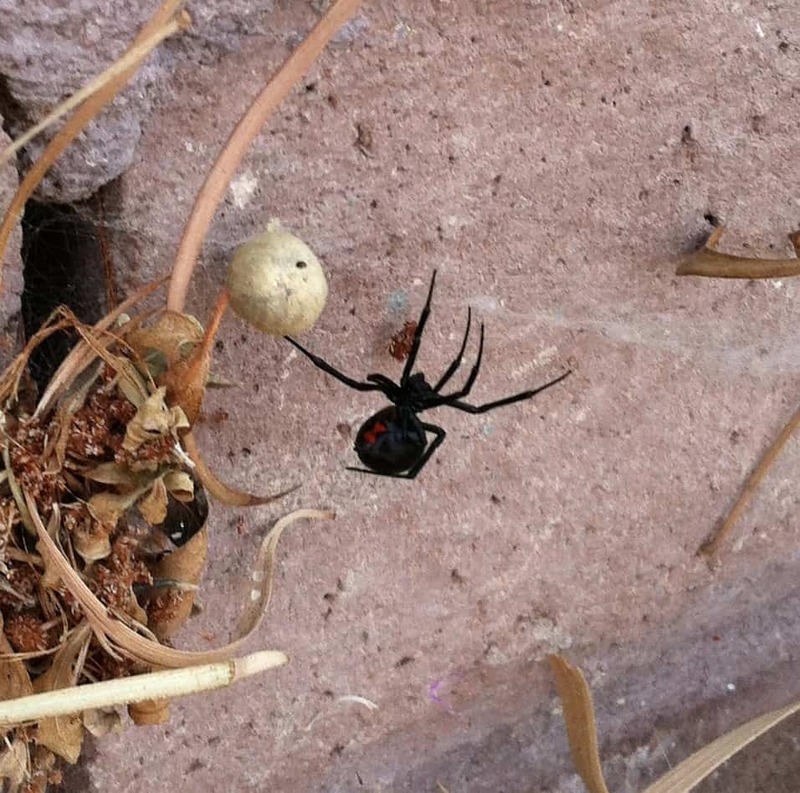 Black Widows have the famous red hour glass on their bellies and grow to about an inch and a half long. Black Widows live for one to two years. They can be found throughout the United States as well as Canada. rown Recluse Spiders grow from 6-20 millimeters, but may get larger. They can live as long as two years and are generally found in the Midwest and southern United States. Is there is a way to keep spiders out completely? Spiders are creatures of habit, and once they have found a place to call home, it is difficult to make them leave. After all, your basement provides the most comfortable environment for them. But for those of you who just can’t let them hang around — EarthKind has got you covered! Spiders search out living conditions free of scent and vibrations. EarthKind’s Stay Away® Spiders is made from essential oils and designed to disrupt a spider’s sophisticated senses. While it will smell good to you, creepy crawlers won’t want any part of it. It also affects the senses of insects, keeping them out of the area as well. 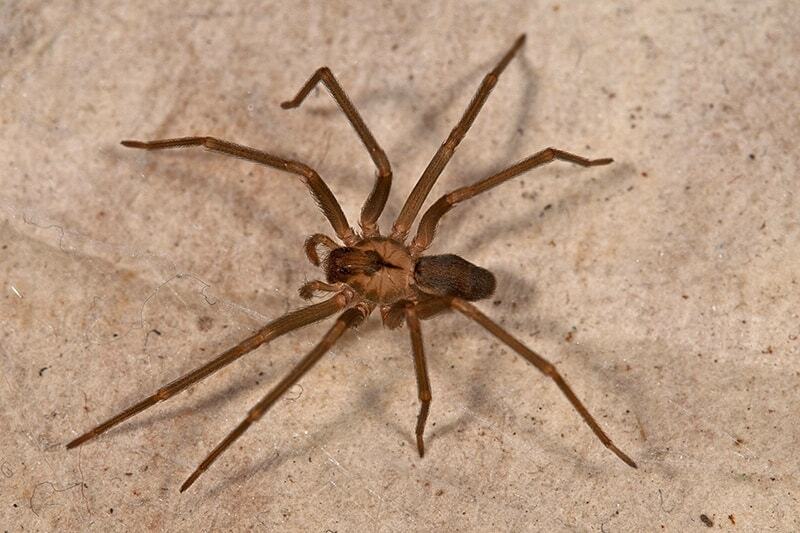 With no insects to feed on and a scent that repels them, spiders will have no desire to live in your basement. They will make their way back outside where they can find shelter — a welcome relief to all of us who dread going down the stairs. I will never forget the feeling I got each time I walked down the steps to the basement of our old farmhouse. It was a cold concrete shell with very little light. We kept jars of food down there in a huge pantry -- which meant lots of trips up and down as Mom was preparing dinner. With every trip, I’d close my eyes and hope that I wouldn’t encounter a creepy crawly spider. Just the thought of spiders still makes me shiver today. The fear of spiders is a very real thing for people like me and I’m far from alone. Nearly 55% of women and 18% of men have a fear of spiders, making it nearly impossible for them to go down to the lower level of their homes -- where spiders are most often found. Spiders would much rather live outside in an ideal environment. But, in most circumstances, they find their way to your basement in search of food and shelter. Spiders like cool, dark areas, and feel most at home in places that contain dust and clutter, where they can easily take shelter from predators. 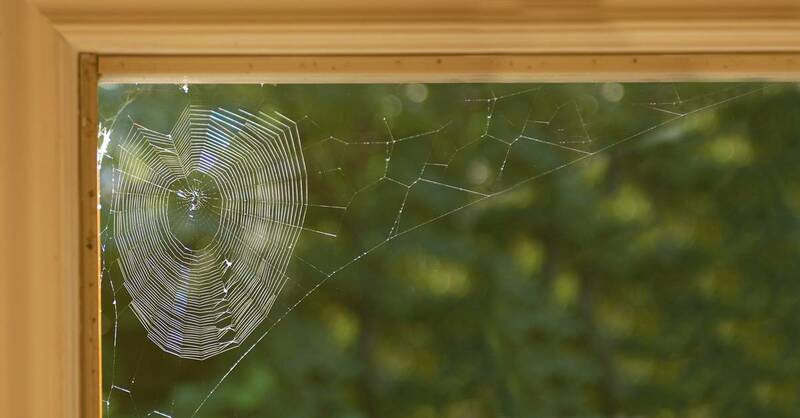 They are also attracted to living conditions that contain moisture, like water heaters, windows and drains, so don’t be surprised if you see their webs around openings. Insects are also fond of basements -- offering spiders an abundant food supply. Spiders are creatures of habit, and once they have found a place to call home, it is difficult to make them leave. After all, your basement provides the most comfortable environment for them. But for those of you who just can’t let them hang around -- EarthKind has got you covered! Spiders search out living conditions free of scent and vibrations. EarthKind's Stay Away® Spiders is made from essential oils and designed to disrupt a spider’s sophisticated senses. While it will smell good to you, creepy crawlers won’t want any part of it. It also affects the senses of insects, keeping them out of the area as well. With no insects to feed on and a scent that repels them, spiders will have no desire to live in your basement. They will make their way back outside where they can find shelter -- a welcome relief to all of us who dread going down the stairs. string(52) "What’s In My Basement: Get Ready For Spider Season"